With in excess of 600 hotels at your fingertips, including many Tuscan treasures, the city of Florence and the surrounding area are bursting with accommodation options. However, despite this wealth of lodging, it is often prudent to book ahead if you are planning to visit Florence between April and October, since the best hotels are understandably snapped up quickly. Many of the hotels within central Florence are overpriced when compared to other parts of Italy. If you are brave enough to arrive in the city without a prior reservation for accommodation, then your first port of call should be the tourist desk at the train station, which is known as the ITA (Consorzio Informazioni Turistiche Alberghiere), where staff can book available rooms over the actual counter. 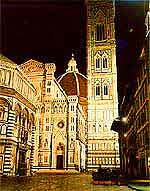 Without question, the most popular hotels and similar lodging in Florence reside in the city centre, on the eastern side of the Stazione di Santa Maria Novella, between the cathedral and the River Arno, around the Piazza di Santa Maria Novella, and in the easterly neighbourhood of Santa Croce. For budget accommodation suiting backpackers, a number of youth hostels present themselves, on both the Via dei Serragli and the Via Santa Monica. 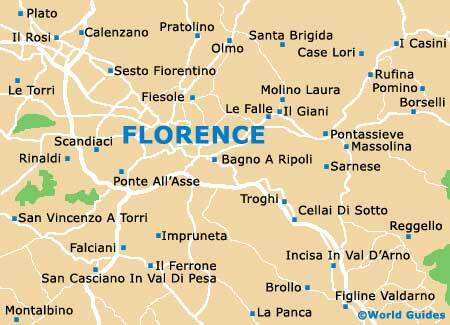 The further away from Florence city centre that you are willing to stay, the cheaper and better value the hotels become. Reliable accommodation awaits directly to the south of the River Arno (on the Viale Poggio Imperiale and around the Piazza Santo Spirito) and on the western outskirts of central Florence (along the Via Faenza and the Via della Scala), where there is still plenty of Tuscan character to be enjoyed, usually without the crowds. However, you need not stay in the city to get your taster of local life, and if you are prepared to travel when sightseeing, then consider lodging at hotels outside of Florence, in neighbouring destinations such as Chianti, Fiesole, Pistoia or Prato.